Sneak Peek at the November Promos! | I'm Oil In! ← Recycle Those Pumpkin Seeds! Here’s an advance peek at the November promos with all the goodies we have to look forward to this next month! Look for more information in the next few days, but start planning now to take advantage of these wonderful offers. 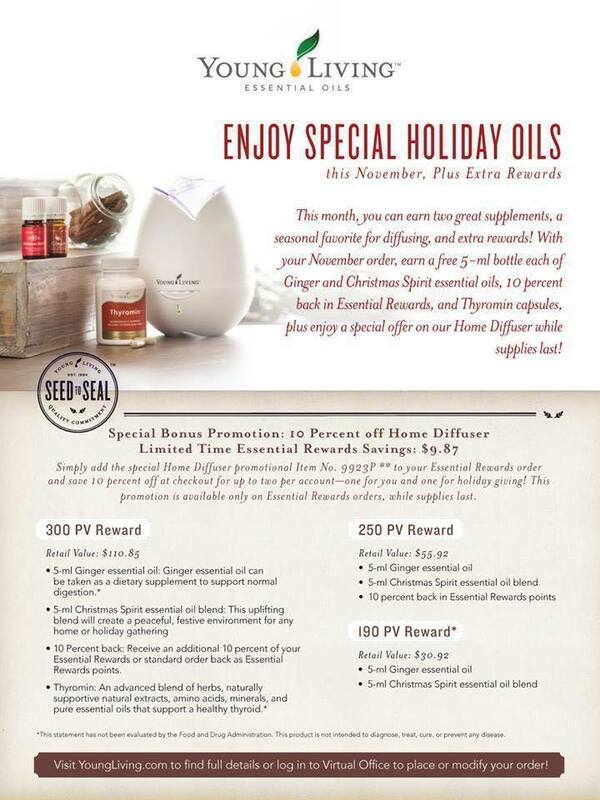 This entry was posted in Monthly Promos, Uncategorized and tagged Christmas Spirit, Diffuser, Essential Rewards, Ginger, November Promo, Promotional, Thyromin. Bookmark the permalink. 2 Responses to Sneak Peek at the November Promos!